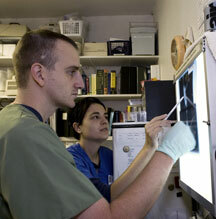 WildCare offers unpaid internships in our wildlife hospital during the spring and summer months. Interns have the opportunity to work hands-on with our wild patients and gain extensive experience learning from our medical staff. For more information click here. The WildCare Volunteer Services Intern position assists the WildCare Volunteer Services Manager in helping with administrative tasks; preparing and executing events; managing database of contacts and volunteers; and updating collateral and blog posts. This position is unpaid but offers valuable educational benefits such as learned skills in event planning, administrative tasks, volunteer management & training, program development, and community outreach. For more information click here.